Tomorrow, June 18, is World Wide Knit in Public Day (WWKIP Day)! 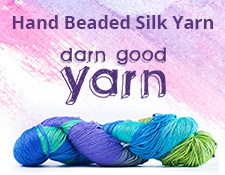 Check your local yarn stores, or this website to see if there are WWKIP Day events near you. I will be knitting in public tomorrow, but I’m not going to tell you where just yet. It’s cool place, I will tell you that much. I’d love to hear about where you are going to be knitting for WWKIP Day. Let me know in the comments or tell me about it over on Facebook. Want to do some good for WWKIP Day? Head on over to The Wrap Up, Lancaster Project site and see how you can help us out and win some cool stuff for yourself in the process in The Big WUL Giveaway! We could use a hand in renting storage and office spaces. Your generosity would be appreciated!